Periyar: Where We Fell For The Most Comfortable Natural Habitat Of Animals. Kerala remains favorite to all the travelers who have been to the place at least once in their lifetime. It is, in short, a destination where nature speaks for itself. It makes a hub where the travelers get to explore the wilderness in sheer excitement. This excitement was something that packed up my family every year at that point in time where I and my sibling have holidays and my parents have off from work. Most of the holidays we traveled to Kerala as my moms ancestral house was located at Alleppey right by the backwaters. So we never had to be on a backwater journey as such but every alternate year we visited Kerala, we always made sure that we visited one place of significance. 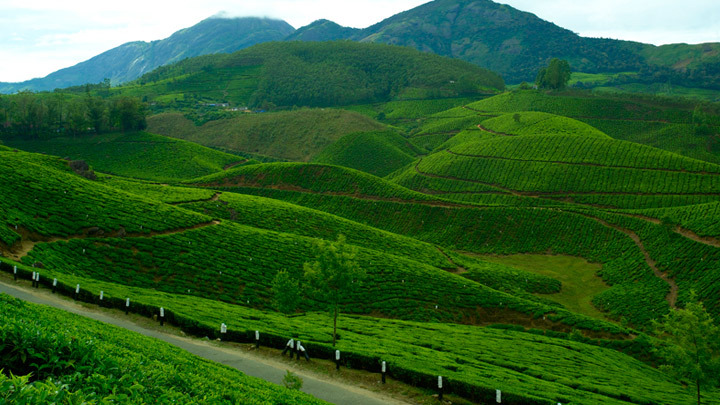 Palakkad, Thrissur, Kozhikode had all been covered through the Kerala tour package from Bangalore. This time we had planned something new where we would get to enjoy more of the richness of nature by being at one single place which was Thekkady. It had got colder at Bangalore and was one of the best weather I loved to be there but there was no other time all of us were free to escape to Kerala due to which we got into the train to Alleppey from where we got to set off to our locality as we always took my moms parents along with us whenever we travelled around in Kerala. And then we hired a vehicle in which we drove 140 kilometers where we reached Thekkady. We had booked 2 rooms in the resort where we were looking forward to having another best holiday at Kerala. It was astonishing that there were a number of places worth paying a visit located in this Gods own country. The resort was worth the money we had to spend on it as we had taken luxury rooms. As of my dads and moms opinion, they always insisted that we spend holidays in luxury as the rest of the days all of us are working hard. So if it is for two days, make the most out of it. We had reached at 6 pm in the evening that there was nothing much for us to do in the evening. The resort was more of a hangout place where we spend time by the pool that had hammocks and pool lounge chairs. The night went by where we had the best family time. We ordered food in the night that 6 of us could consume as no money goes wasted on food that is unconsumed. We all got early to bed as the next day, early in the morning we would set off to Periyar National Park. More than the fact that it was a wildlife sanctuary, it is also a tiger reserve which made the place more interesting to me. I had taken everything required which included binoculars, shoes, repellent creams as I had a notion in my mind that it would literally be a walk through the wild. The entry time to the place was from 6 am to 5 pm which was probably why we had been standing at the doorsteps by 5:50 am with our entry passes in our hands. The passes were just 25 rupees and did not seem to be costly at all except for the foreigners. After having some quick bites and coffee, we got inside. My maternal grandparents had been all healthy and they seemed as enthusiastic as me to be on the nature walk. We hired a guide who we thought would be more helpful in taking us through the several activities that take place inside. Jungle scout, Tiger Trail, Nature walk, Border trekking and a lot more of exploration was possible inside the sanctuary. The most exciting to me was bamboo rafting where we would be set on a three-hour journey through the wildest place ever. A large number birds that would count up to 230 reside inside the sanctuary. I had already begun sighting some while the sounds of the other animals had been reaching to all us. And all of us a sudden, I was reminded of Bannerghatta in Bangalore where we had once gone. In fact, this was the second national park I had been visiting. The nature walk took us through the trees and plants that had been there. Both my mom and grandmom were quite into planting that they got immersed in the walk completely. I had already been on nature walks with school squad when I had been at Bangalore but none of it seemed close to what I had been experiencing here. By 11 am, we set off on the bamboo for rafting. We took two rafts and decided to move in the same direction. The literal hope I had in my mind was to see elephants in the banks. We went through trees that surrounded us on one side and on the other side we could to see grasslands. We went long where the rafters spoke to us about the sanctuary. 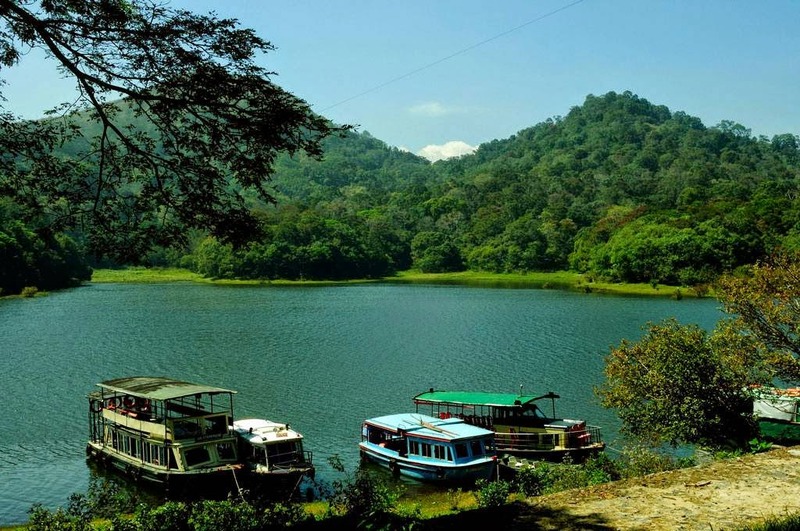 The freshness of both the Periyar Lake and the surroundings were quite reviving to all of us. Also, we had safety guards where all of were in life jackets. When we reached a point we decided to return back. I saw jackals and jungle cats that had been on the shores. The fun fact was how all the animals lived their lives in the natural habitat of forests. We have to pay a lot of money to see them in cages at the zoo which I always found to be the most disgraceful way of making money. Here we could see them stride happily and that was what made all of us happy. On the way back, we also got to see a herd of elephants that had been sipping water from the lake. I had seen elephants before a lot of time where those that had been crossing roads at Bandipur when we had been on our way from Banglore, had been the most exciting but this sight took its place. We got back and walked through along with the guide where he showed us the paws of the tiger. It had been an imprint on the mud and a way through which they got back setting on their prey. The guide said that this was the main reason that the sanctuary closed by 5 pm as the tigers and other animals would get out on hunting as the darkness falls and so safety measures are always to be taken. The natural habitat was indeed so much more fun than I had thought it would turn out to be. It was 5 pm and we were out on time.The single-day exploration had come to an end but our Kerala trip was still on. There was some more scope for us where we could be sitting alongside the Vembanad lake and tossing in some spicy Seafood alongside the fresh toddy where we did not have to spend a single penny on it. And we would be taking catamaran rides to go across as well where we would still feel touristy on a 3 rupee service until we get back to Bangalore. This other part of life is hence something that is worth treasuring for a life where we can live with a stipulated amount of money but we choose to be different. The village life is worth an experience when on a Kerala tour package with the price. It is, in short, a journey of realization of what we have on the other side of the coin. TAKE A REPOSE AND UNWIND YOURSELVES, A VAST SEA SHORE IS WAITING FOR YOU! Recently, I had a visit to Bangalore for an interview. Since I am from the capital city of Kerala, Trivandrum, my journey was awesome and I had some couple of my friends at Bangalore. After the interview, which went smooth, I had a meet up with my friends, sharing some cups of cappuccino. In our conversation, I caught up something that, even though the life in the IT hub of India seems interesting, jolly and enthusiastic, there is a darker side to it. Actually, my friends needed a change and rejuvenation of the mind. What I can suggest is a trip with friends or family, inflicting a feeling of ‘Out of the world’. My friends are actually beach lovers, so I suggested one of the top beach destination in Kerala, lying at my very own homeland, Trivandrum, which is Kovalam. Kovalam is a haven of serenity and the best place to hang out with friends, family or spouse. It is easy to reach from Bangalore as there are flights from Bangalore to Kerala landing at Trivandrum International Airport. A smooth travel can be achieved if tour packages are picked as it would include more places too. I have suggested some of the tour planners like Gogeo holidays where some authentic packages are prevalent to entice the tourists, and they will be giving awesome beach facing resorts for the stay. Kovalam has the power to rejuvenate ourselves as the vibrant beachside is awesome to watch and spend time. 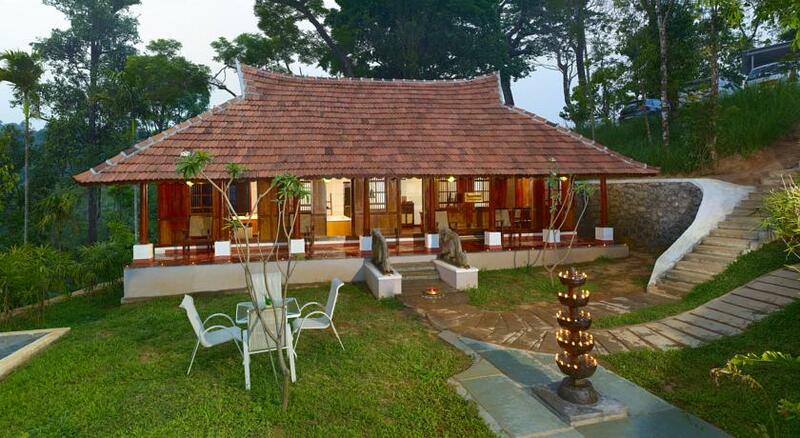 Located about 16 kilometres from the city of Trivandrum, the ambience is free from the regular hassle of the city life. Kovalam is an international beach destination as there you can spot too many foreigners. Let us start the discussion of this vibrant piece of the seashore with its natural beauty and surroundings. Kovalam beaches are divided into three namely, Lighthouse, Eve’s beach and Samudra beach. These three beaches are separated by rocky out cuttings. 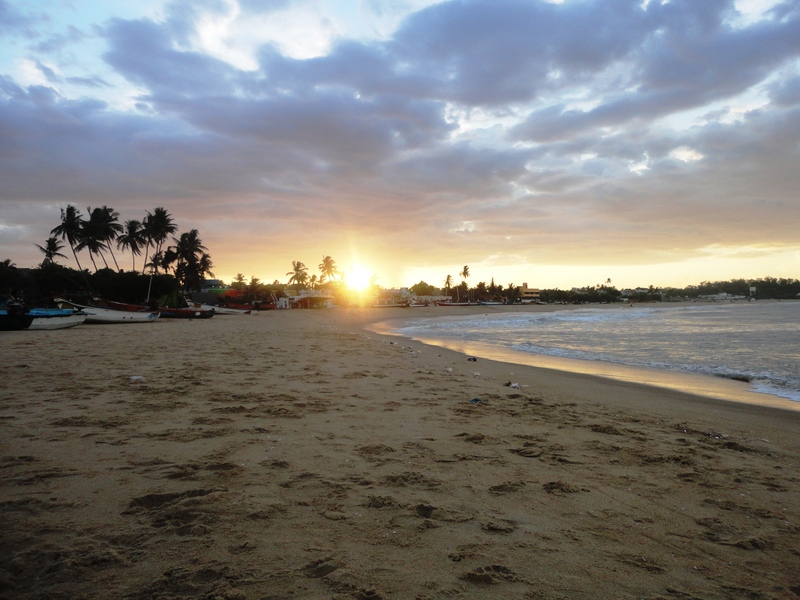 Tourists can visit any of these beaches and bask in the sun. There is provision for the tourists to bask in the sunlight and chairs are provided for the same. Foreigners usually here opt for swimming, sunbathing and surfing. The reason for its placement in the tourist map of travellers across the world is due to the clean and bizarre surroundings, equipped with developed tourism facilities. To unwind yourselves, Kovalam is the best one. I am sure, it will be a perfect escape for my friends in Bangalore city. The climate is somewhat chill in Bangalore and at Kovalam, needed warmth can be provided to the skin. Some of my friends came with their family to Kovalam. A stay on the beach facing resorts is a dream of many, especially honeymoon couples. Here, the majesty of the Arabian sea can be experienced and the water is clean and pristine, making the swimming extremely joyful to the tourists. When you come with your family, take a swim in the beach as it is the funniest part of Kovalam beach. Surfing is usually done on the beaches and necessary amenities will be provided. Taking into consideration of the safety of the beaches, guards are kept at each point so as to warn the tourists who enter deep into the sea. Eve’s beach is near to the lighthouse beach and since both are separated by a rocky promontory, the beauty of Kovalam will provide more option for the tourists. One can climb over the rock and watch the sea. The cool wind blowing from the sea is truly a rejuvenator. This spot is enjoyed more by the honeymoon couples and also kids love in climbing up the rock. Visit Kovalam with your family and make your children soak in the beach holidays. Owing to the safety and cleanliness, this beach is perfect for a family vacation and thus choosing Kerala family tour packages to Kovalam is the best idea. When visited during festive seasons, Kovalam will dress up in a festive mood and several fests like Village fair, elephant fair, Nishagandhi dance festival and Food festivals will be hosted. These festivals can entice people of every age and walks of life. These festivals are actually showcasing the cultural richness of Kerala and Swati Thirunal Musical festival is a great example. There are too many food stalls, multi-cuisine restaurants facing the sea and delicious seafood are served there. If spicy Indian snacks like Panipuri, Bhelpuri, chat masala, chilly filled pineapple and mango pieces with the flavours of juicy items are your tastes, then head for a local stall placed in the beach shores. Coming to the activities that can be done in the Kovalam beaches, water adventures are the prime one. Swimming, surfing are some of the common water adventures and since it is the most sought tourist destination, Ayurveda and health centres are prevailing on the beach shores. Undergo some rejuvenation therapies to calm your mind. I have suggested this to my friends so that the hectic lifestyle of the Bangalore can be dealt with the magic of Ayurveda. Are you a shopping freak? Then the beach facing stalls in Kovalam is all yours. One can buy a handful of handicrafts, clothing, beach wears, hats and antiques with reasonable prices. 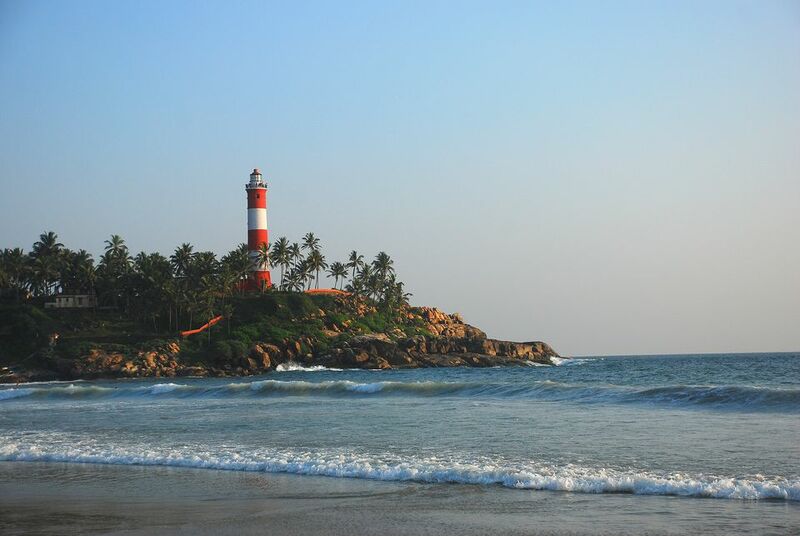 Lighthouse beach is where a tall lighthouse is placed near to the sea and it has provision to allow visitors to reach up to the top and watch all sides of the Kovalam beach. The rocky promontory between lighthouse beach and eve’s beach is called Edakallu and people love watching the sunset from this rock. Settle in any of the rock formation and watch the biding sun. The changing colour of the sky during twilight is a must to watch. 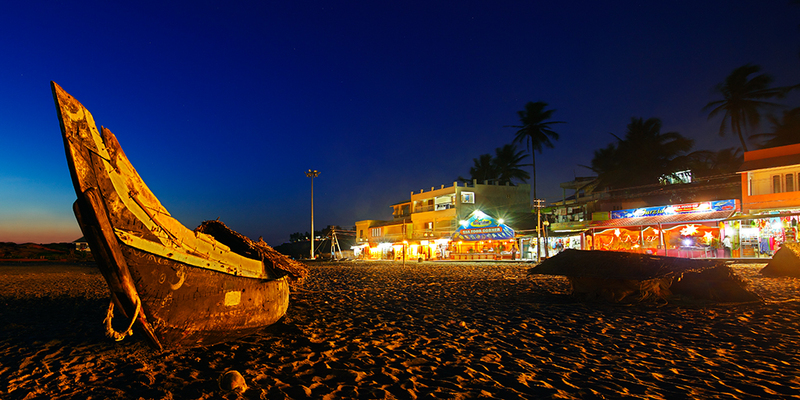 Nightlife in Kovalam is what everyone should watch. Evenings are meant for blasting in Kovalam and the bars, restaurants are fully awake to serve the same. Live music with delicious eateries are provided by some restaurants and to involve in other social entertainment, several bars are open in the night. With dance, fun and music, enjoy the delicious cuisine under the night sky. The nearby attractions around Kovalam include Karamana stream and the boating there. Reach at Thiruvallam vessel club offering activities like kayaking trips, cruise trips and windsurfing. A trip to Kovalam will family or friends can increase your bonding and is the most suggested place to unwind yourselves. For employees working in a busy metropolitan city in India like Bangalore, can make a travel here. In fact, if I get tensed on some issues, the visit to Kovalam can revive me and give me the strength to counter the issue. 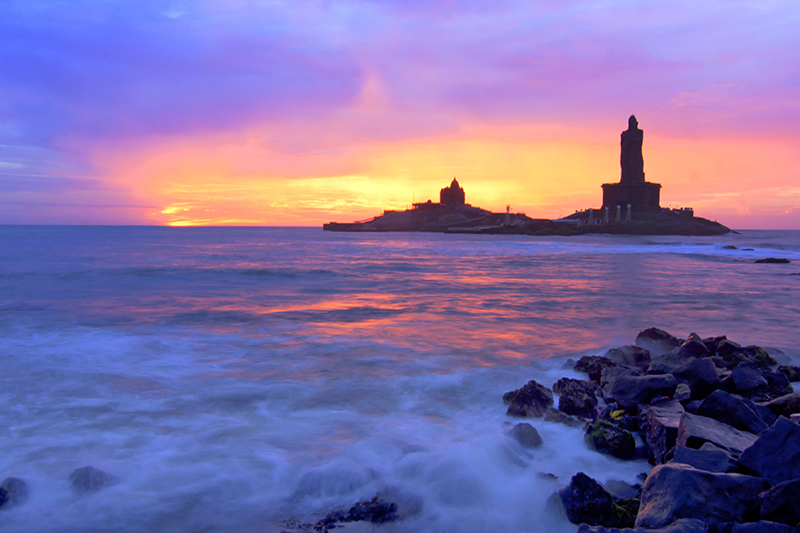 Thus, soon give Kovalam an entry to your travel itinerary to Kerala. Anyone traveling to the beautiful destination of Kerala would be startled at the real richness of nature at the destination. Rivers, hills, and forests lead the way to anyone’s heart and it turns out to be the real destination where exploring has more scope. The destination turns out to be the best place to be at when with friends as well. A personal journey of my friends through the forests and hills makes way to this realization. We had 10 days of holidays after the semester break and were eager to set off on a journey where we would also be able to refresh our minds. We had already been to most of the beautiful places in Bangalore and wanted to set off on a moderate long journey due to which we decided to take it on 300 Kilometres drive from Bangalore to Wayanad. We could draw our journey on few basis where drive, trekking, and budget were the prime factors to the travel. We were students and so budget was the pocket money which we had saved for 5 months and so we were keen on checking the Kerala Tour Package with price range that fell into our budget. We decided to hand some of our planning work to Seasonz India Holidays who were our planners we had found for ourselves. The final exam had been good but we were eager to leave as soon as possible due to which all of us cracked our exam in an hour and a half and got back to the apartment to load our bags into the jeep that belonged to our friend who resided at Kannur. We could hence cut on to half of our budget as we had the vehicle for travel and decided to pool the money for the petrol. We set full tank petrol before setting off and then drove to the way of our dream travel which began from Bangalore to Wayanad. We had lunch from the city and packed some snacks for our journey where we got to the way through Mysore. the destination seemed to be of more greenery and less of pollution. It was a working day which avoided a lot of traffic on the way and got us to be on a soothing journey through the roads. It took us an approximate time period of 7 hours where we took three stops in between as we had been driving in turns. There were 5 of us and each of us had varied interests on travel. It was 8 in the night when we reached Wayanad and got to see the welcome board through the beam light. One of my friends said we could spend time outside till 10 in the night as the weather had been quite chilling but slight drizzling got me back to the jeep and called the tour planners for the location to the hotel that had been booked for us. We had insisted that we wanted a cheap room as no fancy room could ever reach the comfort level of a normal room with just beds in it and an attached bathroom. Following the route map, we took our way to the hotel that had been waiting for us. We got food parcelled for the night and in the comfort of our economical room, we ate our dinner. There were 5 of us and only 4 bed space was available in the room due to which we got an extra bed. The next day came to us in glory as we were off to Chembra peak which was, in short, the way to an epic trekking journey. 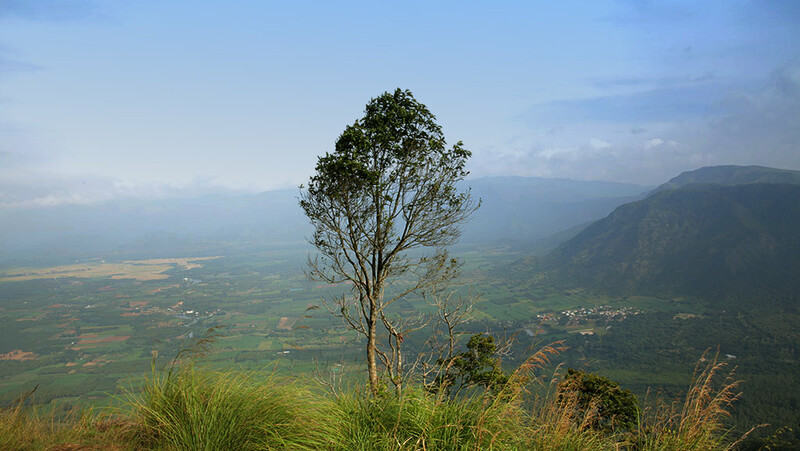 Being one of the largest peaks of Western Ghats, we were excited to set off to the top. We had already got the trekking poles and hired a guide for the trekking as there were chances that we could get lost. So following the footsteps of the expert person we walked through the grasslands where we also got to see beauty approaching us in the form of nature. The way had been rocky and it was not easy to climb up. We took several halts in between until we got to see the heart-shaped lake staring which all of us spend some good time. The guide informed us that the real trek up the hills was only beginning. We had been to Nandi hills at Bangalore for trekking but it seemed a lot greener her which showcased wildness. We took some beautiful pictures of flora and fauna as we climbed where nature seemed to take care of itself. After taking several stops we got to the top where we got to see the real scenery of the destination from the top. Clouds still seemed to move through us even when it had been almost noon. Anyone could be happy with trekking up to the top to end up seeing the orgasmic view of nature shimmering in its real allurement. We spend approximately 2 hours thereafter which we decided to climb down. We tipped the guide along with his wage as he had been more than a guide to us in the whole trekking experience. The hike had been tiring but worth. We grabbed enough food and decided to go to the next spot which was the Karalad Lake. Adorned with pure beauty, we got to see zipline services functioning in the region. None of us had got into an adventure like it due to which all of us took turns in doing it People had also been kayaking through the lake but we were quite late to reach up to do the same at Karalad. The price had also been alarmingly high. We had also been a part of a trip from our college at Bangalore in which we had indulged in kayaking at River Shambhavi. So we did not mind missing it and left to the hotel after a drive along the roads where the Kerala tour package from Bangalore had successfully come to the second night at Wayanad. The next day we got up and vacated the hotel as by early evening we would be leaving back to Bangalore. Two of them stayed at Kannur and Kozhikode due to which they would be returning through bus service while three of us would drive back to our hometown. The last place where we decided to visit at Wayanad was Lakkidi View Point. Crossing approximately 13 miles we reached to the place where the viewpoint had a lot of people. The inhabitants of Wayanad were pretty much living a blissful life where they could feel freshness while breathing while we had to wear masks at Bangalore to protect our lungs. The scenarios were always different and that is exactly what had attracted us to visit the destination where we could be on an economically viable journey. After spending a good time capturing the pictures of the viewpoint, we took our way to the bus top where we dropped the guys and set back off to our own hometown. Kettuvalloms are wooden boats made of jackwood and coir that does not use any nails. These come in all sizes and different shapes. The larger version of these Kettuvalloms is the popular houseboats of Kerala that takes the tourists on backwater cruise through the major water channels such as Punnamada Kayal, Ashtamudi Kayal, Vembanad Kayal, Kumarakom etc. Kayal in Malayalam means backwater. Smaller canoes or valloms are used to travel through the narrower water channels that connect small villages and islands amidst these backwaters. It will be a one of a kind experience for the tourists to row their way through the canals of Allepey or Kochi watching the beautiful sights on the way and interacting with the locals. Kerala is abundant in seafood and marine wealth. Tourists on Exciting Kerala Tourism Packages with Price can go fishing on fishing boats into the sea or enjoy it safely in the backwaters or the fish farms located at many places in the coastal Kerala regions. One such place is the Njarakkal fishing farm in the suburbs of Kochi city. 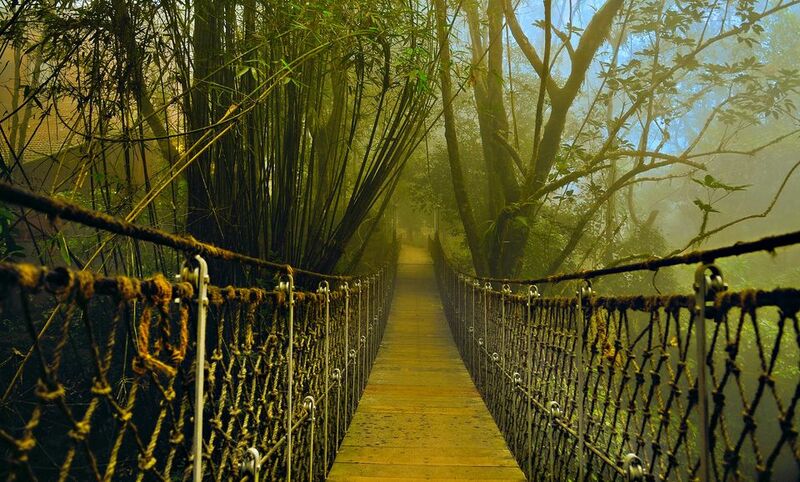 The route from Kochi via the Goshree bridges built across the Kochi Kayal to the Vypin Island itself is picturesque. You can see the fishing boats, ships docked at Cochin Shipyard, the beautiful backwaters, the evergreen mangroves and islands on the way. After spending an entire day at the fish farm, you can take the coastal road from Njarakkal to reach Cherai beach which will be an amazing experience to cherish. Monsoons are the right time to be in Kerala. That’s the time when the entire state becomes the most beautiful drenched in the rains. Everything becomes fresh and green all around! The ponds, rivers and the lakes get filled and the paddy fields are prepared for the season’s cultivation. The refreshing smell of the earth will remain in your memories forever! The best place to explore this earthy experience is at Kuttanad during your Kerala Tour Packages with Price that’s quite affordable. Kuttanad is the rice bowl of Kerala and the place is a beautiful idyllic village where you can enjoy staying rooted to the basics of life. The Upanishads say ‘Aditi Devo Bhava’, meaning, treat your guest like the God! The friendly people will accommodate you as their God as the Keralites believe that guests should be treated as God. You can enjoy the local treadmill, stepping on the irrigation wheel, walk on the slippery and muddy narrow paths between the fields and dip your feet in the mud and just let loose. You will become a child again, playing with mud in the rain! If there’s one thing everyone will advise you to do during your Startling Kerala Trip that will be to indulge in the invigorating Ayurvedic massages offered in the spas and clinics. Ayurveda uses nature to heal your mind and body and a good massage with herb and spice infused Ayurvedic oils will leave your body and mind completely refreshed. That’s the ultimate feeling of bliss you can experience only during your holidays in Kerala. Ayurveda offers beauty treatments, general wellness treatments and specific treatments for ailments. You can meet the experienced doctors or ‘Vaidyar’ at the special Ayurveda clinics and experience nature first hand! These are some basic elements of Kerala you can explore during your holidays here. Plan in advance with the best tour operator and experience the most blissful holidays in God’s Own Country.